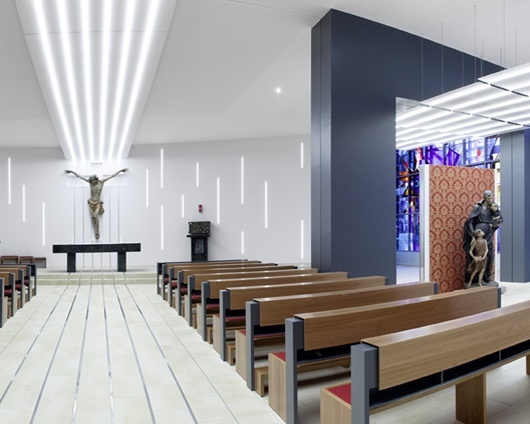 For the chapel at the Hospital of the Barmherzige Schwestern (Sisters of Charity) in Ried, ewo developed a number of LED-based lighting systems. The architect Domenico La Marca was faced with the task of creating a warm, intimateatmosphere within functional, sterile surroundings. 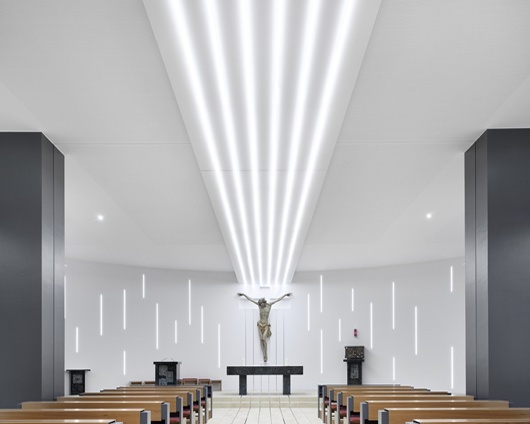 The flow of contiguous lines frames the space of the central axis: metal strips on the floor and the walls are echoed by parallel lines of light on the ceiling. 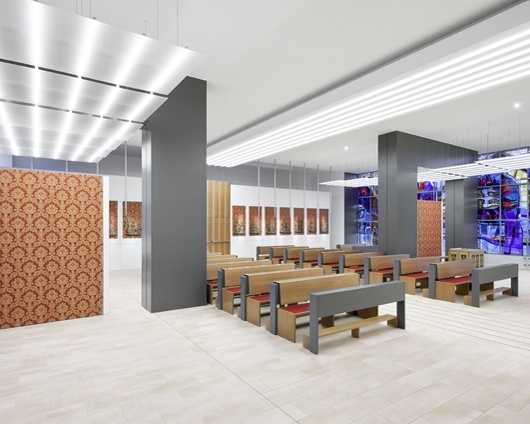 To the left and the right, illuminated panels are suspended, echoing the principle of vertically aligned, illuminated lines. The curve of the apse is emphasised by vertically arranged spears of light behind the altar. 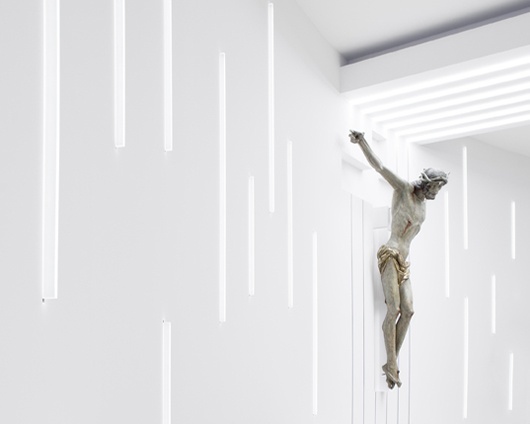 Throughout the project, strips of Plexiglas are installed in front of the sources of illumination to diffuse the beam of light emitted by the LEDs. The lines and strips of light thus created provide subdued illumination resulting in soft contours. We determined the plastic used, a form of Plexiglas, as well as its distance from the LEDs and other parameters in cooperation with one of our long-term plastics suppliers in order to create evenly lit surfaces. The lines immerse the entire room in a soft, even light, despite the fact that they seem more like aesthetic elements than sources of light; the light never discernably falls directly upon any of the surfaces. The lighting fixtures define the orientation and structure of the space, virtually framing the room in the proper light.